The first thing Carly is going to ask me is "why?". I don't know why, exactly, it was there. It seemed like the a fun thing to do at the time. The kids found this little guy. You can imagine the excitement and drama that caused. I was just about ready to dispose of the creature when a thought popped up, hey you should take a picture. Of course, I didn't want to take a picture because that is a lot of work. I almost ignored that thought, but remembered I am not going to get any better unless I continue making pictures, even if they are random. Setup shot shows what I did. 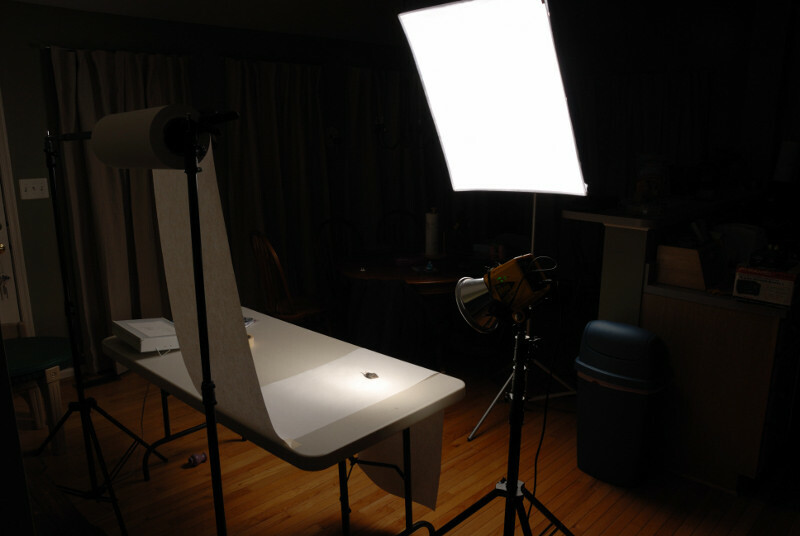 The big softbox was used for fill and to create the gradient on the background. I then used sidelight as a key. 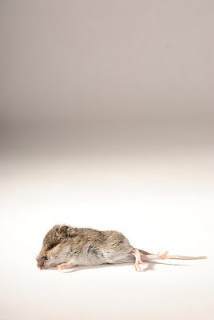 Ken - I find it a bit ironic that your site is called "Lunch is optional" and you are posting pictures of dead mice. Just sayin. That mouse isn't dead, he was stunned just as he was waking up! I feeeeel happy! I feeeel happy! In any case, sounds like a good enough reason to me!